Nigerians have been urged to change to brown sugar as their table sugar as it is far more nutritious than the conventional white sugar. The Managing Director of McNichols Consolidated Plc, Chimaraoke Ekpe, made this known during its media briefing in Ogun state recently to mark the company’s 10 years of existence in the country. According to him, the enormous health benefits of brown sugar cannot be over emphasized as it contains all natural nutrients directly from sugar cane extract which are vital to the health of the body. “It is free from chemicals like phosphoric acids, sulphuric dioxide as well as preservatives of bleaching agents which often destroys the natural ingredients. “This sugar is in its natural state without its ingredients been compromised. But for the white sugar, even though it is also gotten from sugar cane just like the brown sugar, after the normal extract which presents a brown colour, it is further refined and bleached to become pure white in colour, and in the process, majority of the nutrients are lost, leaving the sugar to contain only carbohydrate and its sweetness,” he explained. 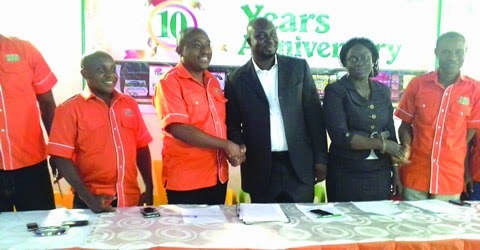 Christopher Nwachukwu, Sales Representative and Kingsley Ezem, Sales Representative, all of McNichols Consolidated Plc, during the celebration of the company’s 10 years of existence in the country weekend, in the company’s corporate office in Ogun State. He said though the company produces both the white and the brown sugar, it is clearly stated on the labels on the various nutrients in both, so that consumers will make informed choice on which to patronise as their table sugar; “Checking the packs will clearly show that the nutrients listed in the brown sugar are more than the ones in the white sugar.” Ekpe, explained that because of the immense health benefits of the brown sugar, McNichols pioneered its packaging in the country into cubes and granules which are now readily available in stores across the country. According to him, he said, “inasmuch as sugar adds flavour to our meals, we do not promote excess consumption of sugar even though we produce and sell them, because excessive intake of sugar is damaging to the human body, causing health conditions like diabetes.” He, called on the media to assist other advocates of the use of brown sugar in the country such that people will begin to understand that the popularly used white sugar. 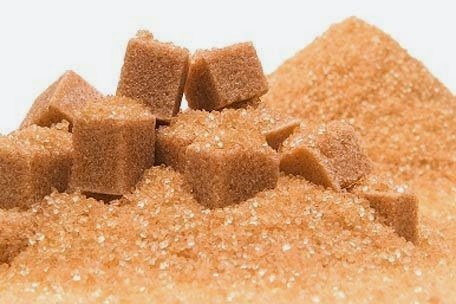 In making sure the sugar produced adds more health value the body, he said both the brown sugar and the white sugar produced by the company are fortified with vitamin A, made into cubes and packed for easy preservation and usage. According to him, apart from production of sugar, McNichols is also one of the leading producers of custards in the country with high premium on its health benefits to Nigerians. He also explained that as the organization is marking its 10th year of existence, they have recorded a number of firsts in the manufacturing of sugar, custards and other products by the company. “We introduced granulated Family Sugar fortified with vitamin A in single serve packs for 5 naira and 10 naira for public consumption. This improved the health and well being of Nigerians, especially the low income earners who were before now forced to buy the unhealthily packed and unbranded sugar popularly called ‘Mallam sugar’ or ‘Tie-Tie sugar’ which in most cases do not contain vitamin A. “We have also opened up a new vista in cube sugar production in Nigeria being the first indigenous company to sustain cube sugar manufacturing in Nigeria. Until we succeeded at it, Nigerians did not believe it was possible for a Nigerian company to succeed in cube sugar manufacturing. On counterfeiting of its products, Ekpe said though they have not had issues with counterfeiting of its sugar products, but the counterfeiting of custard products has been suspected and this has been a source of worry for the organization. “Just recently, our custard products have been suspected to be counterfeited, so we are investigating it and when we are doubly sure, we shall invite National Agency for Food and Drug Agency and Control, NAFDAC, to investigate further and to bring the culprits to justice.” Ekpe, thanked the National Sugar Development Council for its efforts in pushing for the implementation of Nigeria Sugar Master Plan, especially, the ban on importation of sugar in retail packs. He, therefore called on the incoming federal government to make serious efforts to encourage local industries to create more jobs for young people through putting the sector in the right order. Among things he wants the government to focus on is the strict implementation of the ban on importation of products made outside Nigeria, especially the ban on importation of sugar in retail packs. “Most of the imported sugar do not contain vitamin A, which is another reason to discourage its importation into the country. “ He also called on the government to promote laws to protect small and medium enterprises, sustain the current effort to improve access to capital to small and medium enterprise, as well as ensuring of stable power supply. He also thanked staff, shareholders, distributors and consumers for being partners in contributing to the health of Nigerians through McNichols Consolidated Plc. This story was published in Newswatch Times on April 16, 2015.